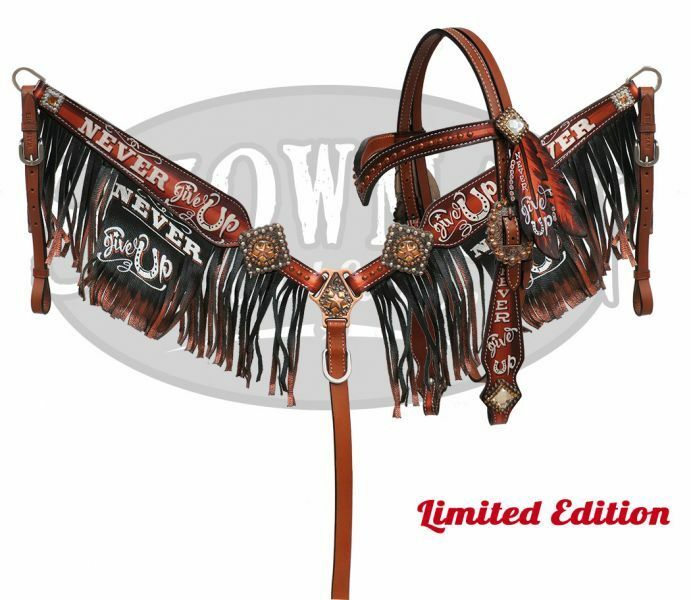 Showman® LIMITED EDITION ” Never Give Up” copper painted headstall and breast collar set. This set features medium oil leather with hand painted copper shimmer and ” Never Give Up” design. Breast collar and headstall are accented with star conchos. Breast collar features metallic shimmer ombre leather fringe with hand painted ” Never Give Up” design. 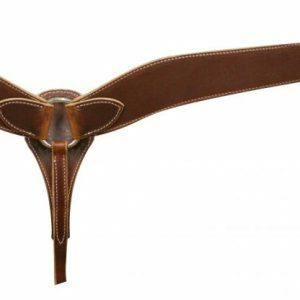 Headstall comes with 5/8″ x 7′ leather split reins. 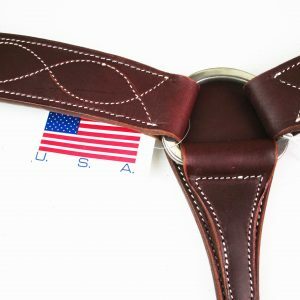 Heavy Duty Double Stitched Leather Breast Collar. Made in USA. 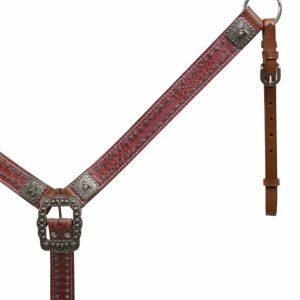 Showman ® Belt Style Leather Alligator Print Breast Collar with Barrel Racer Conchos.